Rica Hodgson was born on 1st July 1920. She devoted her life to the struggle for democracy, confronting the enemy at all stages of the struggle from the early 1940s, until her retirement in 1996 as secretary to the late Walter Sisulu. She married Jack Hodgson in 1945. The two shared a life of struggle. In 1943, she became a fund-raiser for the Springbok Legion – an organisation comprising of left orientated ex-servicemen that mobilised against the rising threat of fascism in South Africa. She joined the Communist Party in 1946 and in 1953 she was a founding member of the Congress of Democrats (COD) that organised white progressives into the mainstream Congress Alliance led by the African National Congress (ANC). She travelled around the country with other alliance members, building a network of support. She became the national secretary of the COD until August 1954, when she was served with banning orders. In 1954 Hodgson served on the National Action Council of the historic 1956 Congress of the People. 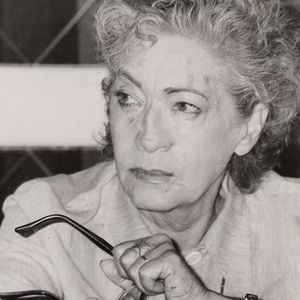 In 1957, following the arrest of 156 leaders of the struggle, she became fund-raiser and secretary of the Treason Trial Defence Fund and later, in 1961, for the Johannesburg branch of the Defence and Aid Fund, South Africa. In 1959, she was secretary for the musical production King Kong that sought to promote black jazz musicians and non-racial performances. She was detained during the 1960 state of emergency. In the build-up to the launch of Umkhonto we Sizwe (MK), Rica and Jack’s small flat in Hillbrow was used to produce explosives for the 1961 Sabotage Campaign. This was a high-risk venture, revealing the Hodgsons’ courage and determination to withstand possible consequences. In 1962, in the same flat, she and Jack were placed under house arrest. They left the country illegally in mid-1963 to set up a transit centre outside Lobatsi in the then Bechuanaland (Botswana), for MK cadres en-route to training abroad. The couple were declared prohibited immigrants by the British Government and were deported to London in September 1963. From 1964 to 1981, Hodgson worked full-time for the British Defence and Aid Fund and headed the Welfare Section of the International Defence and Aid Fund, covertly channelling funds for the defence of apartheid prisoners and the support of their families. Thousands of people were assisted with regular income transmitted through a network of church and sympathetic people, which Hodgson helped to establish in various countries. During this period, she continued to assist in clandestine ANC and MK work, and her small flat in London was a workshop and meeting place for Jack and other comrades producing underground material for the struggle at home. Hodgson volunteered and joined her son, Spencer, his wife Claudia and their daughter, Tanya, in the development and administration work at the Solomon Mahlangu Freedom College, which was established by the ANC in Tanzania after the Soweto Uprising. She served as secretary to the late Tim Maseko, and to Henry 'Squire' Makgothi. In London she also worked in the ANC printing press which was responsible for producing most of the movement's printed material for internal South African underground distribution and external distribution internationally. She returned to South Africa in 1991 after the unbanning of the ANC the previous year. She embraced the cause of human freedom without regard for the possible consequences to herself and her family. She out rightly rejected the racial privilege that many chose to enjoy in the face of a crime against humanity. She remained committed throughout her life to friends, family, comrades and the cause of freedom she has contributed to without regard for position or accolades. Rica Hodgson passed away on 11 January 2018. Rica also has three stepchildren, from Jack's first marriage. She has four grandchildren and four great grandchildren.